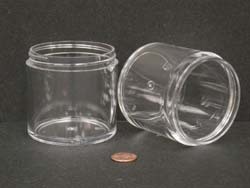 As always, not all jars are suitable for all applications. 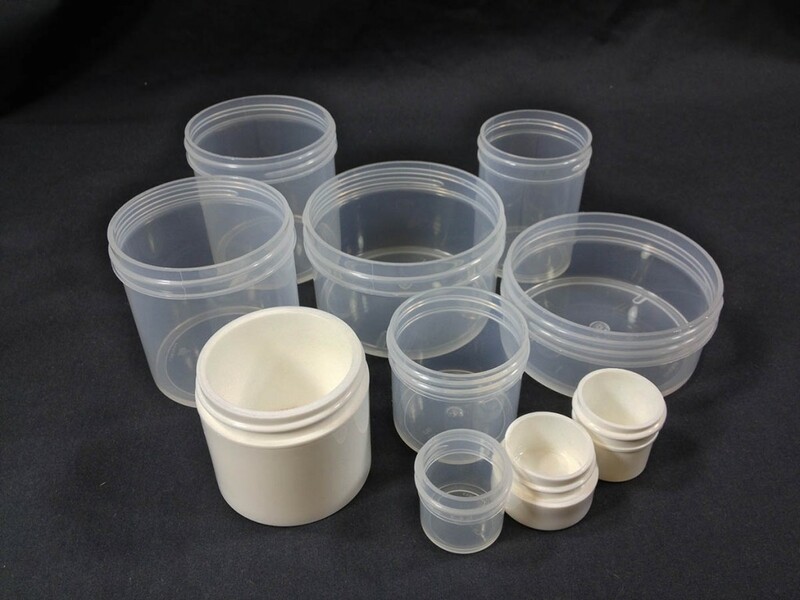 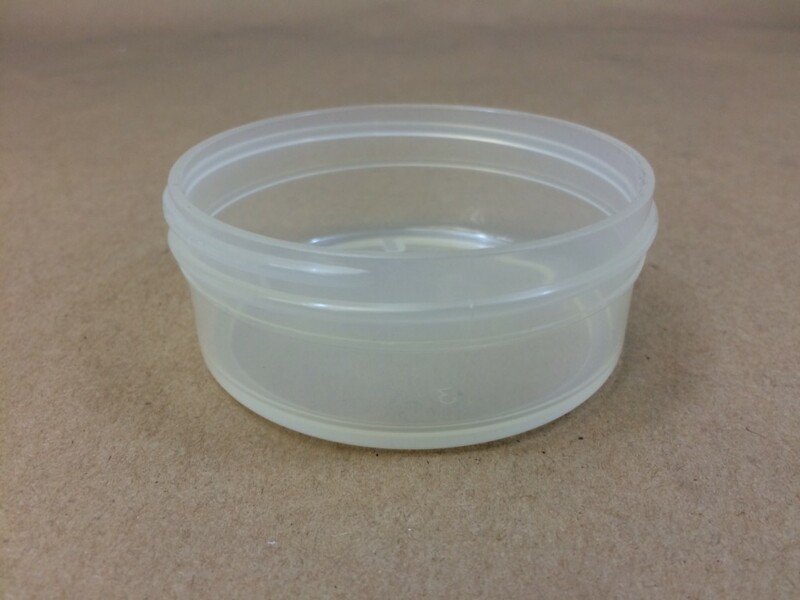 As the compatibility of the product with the container is the responsibility of the end user, we strongly recommend that you obtain samples for testing with your product. 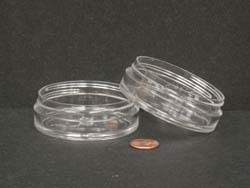 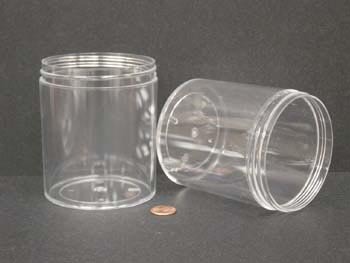 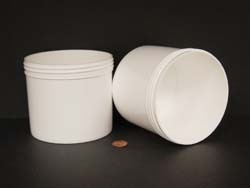 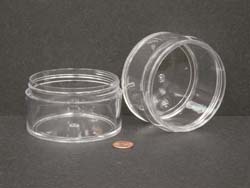 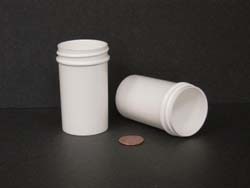 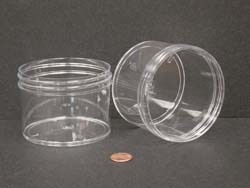 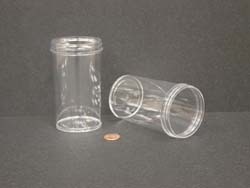 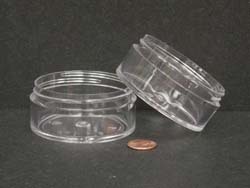 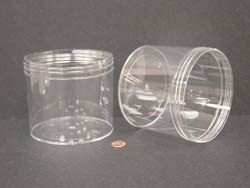 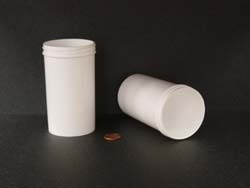 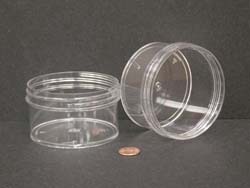 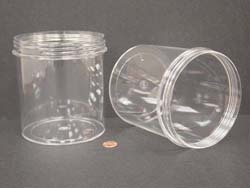 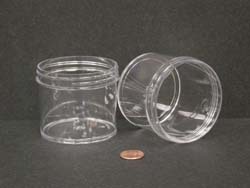 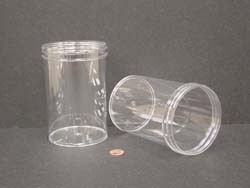 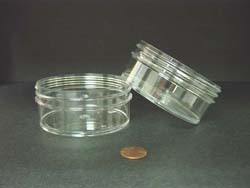 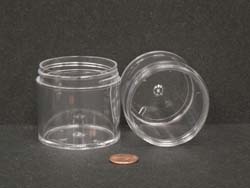 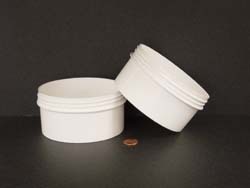 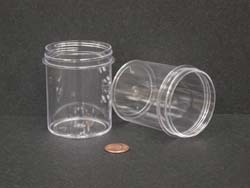 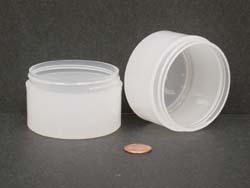 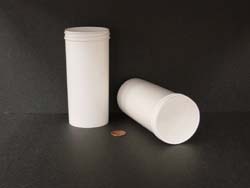 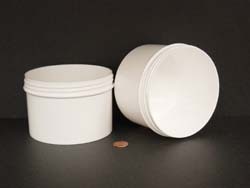 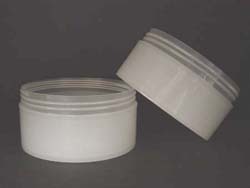 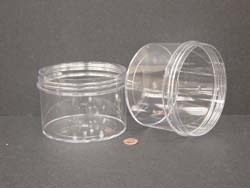 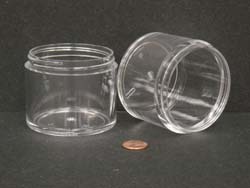 Regular wall plastic jars can be used in many different applications. 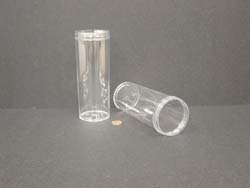 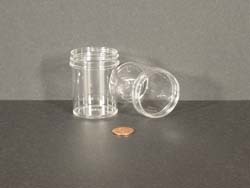 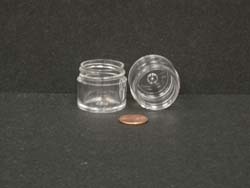 We stock these jars in sizes ranging from 1/4 ounce to 40 ounces. 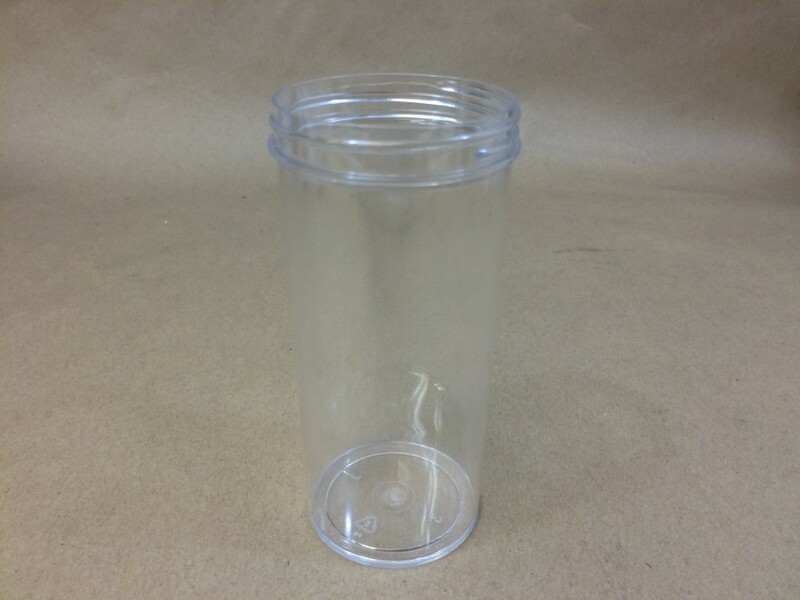 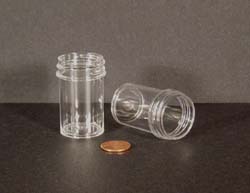 These jars have large printing and decorating areas and can be used with automatic filling and capping machines. 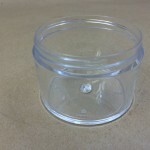 They also have a bead or lip around the top of the jar, just under the thread. 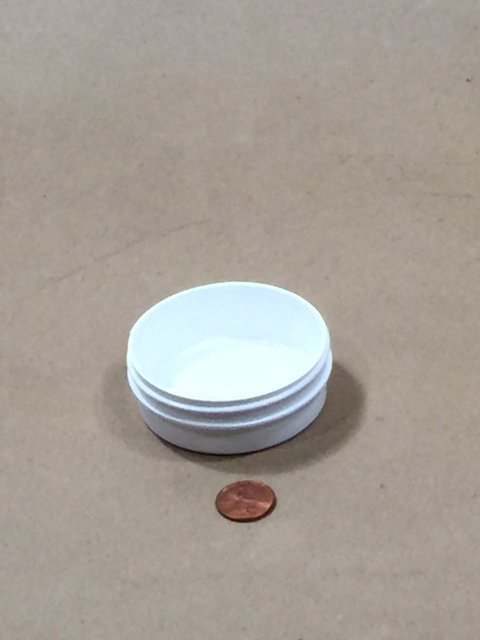 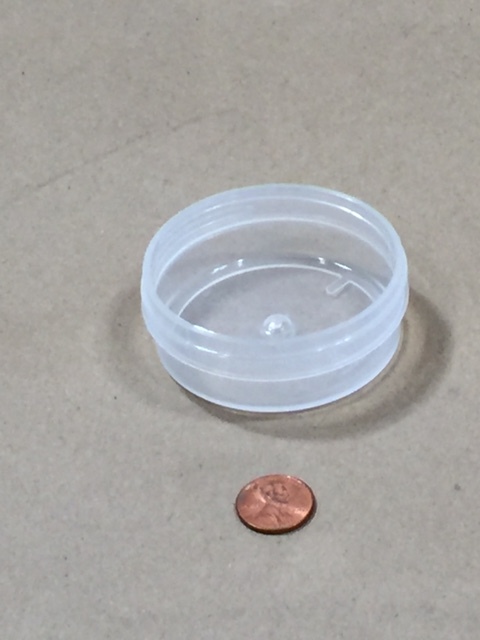 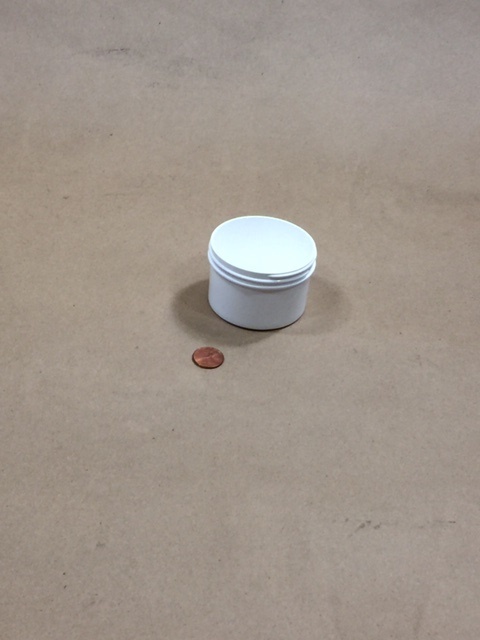 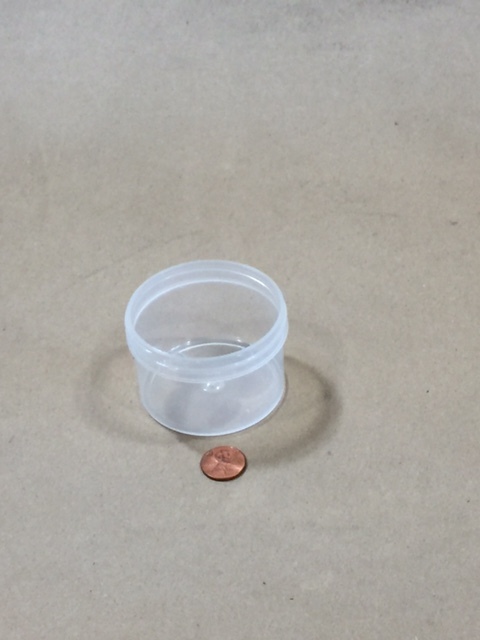 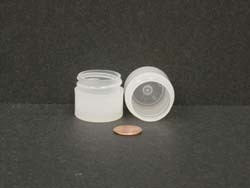 This bead acts as a protective barrier for the side wall of the jar during shipping and storage. 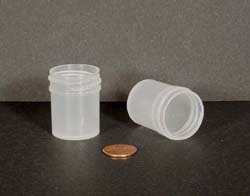 This lip also helps to secure a tamper evident shrink band if one is used. 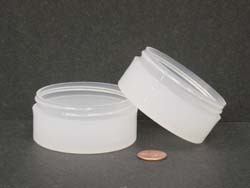 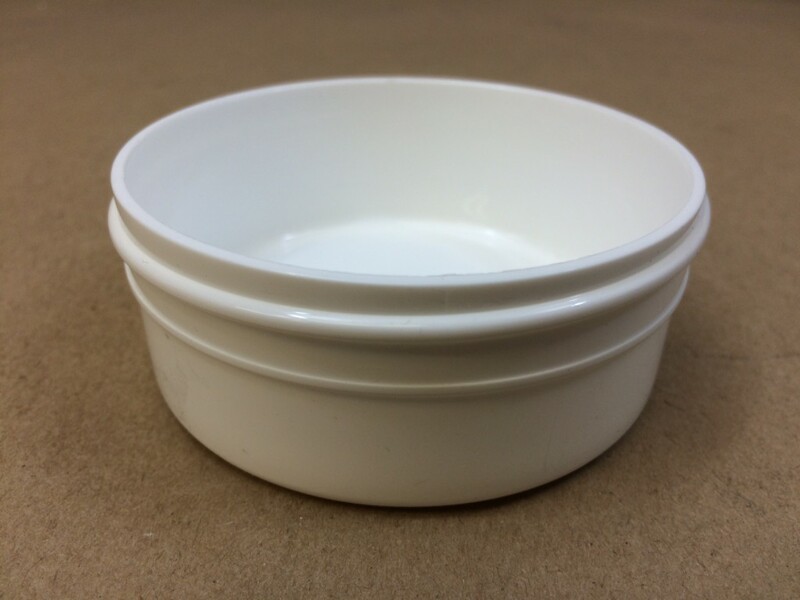 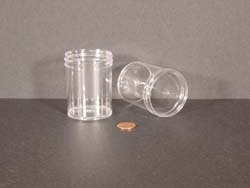 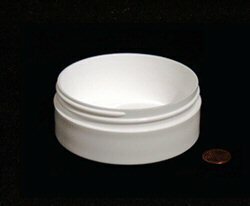 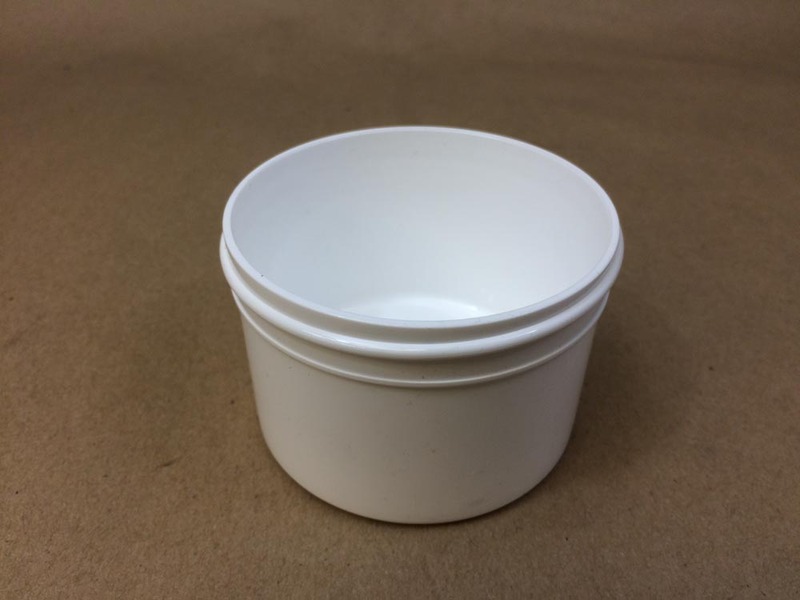 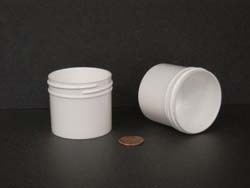 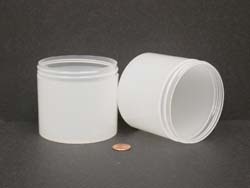 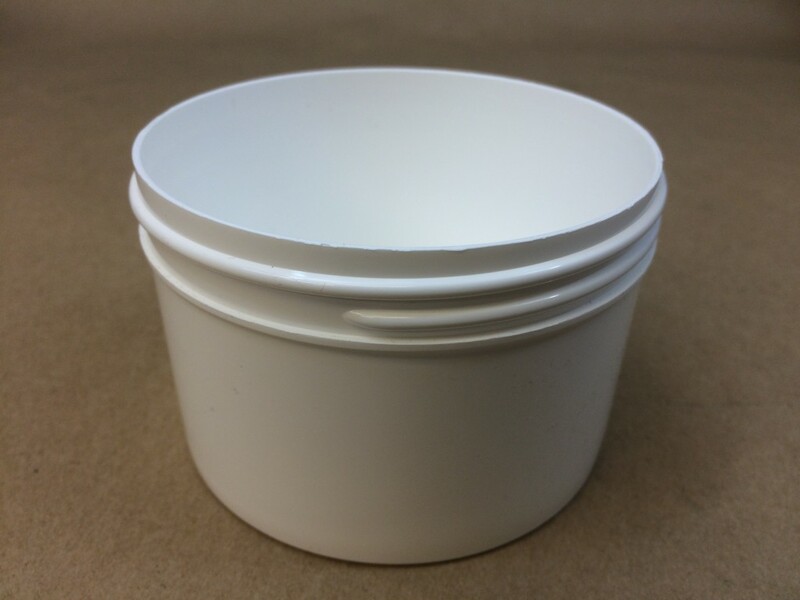 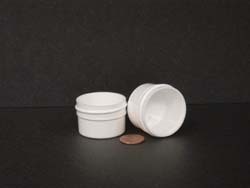 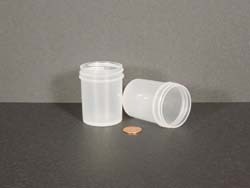 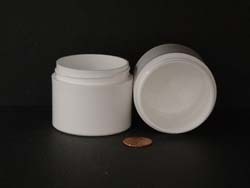 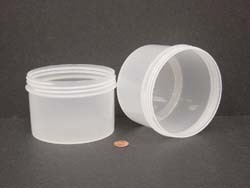 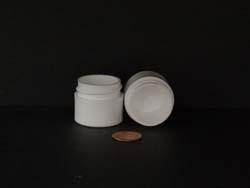 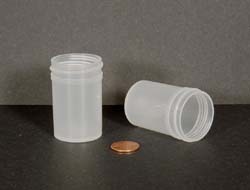 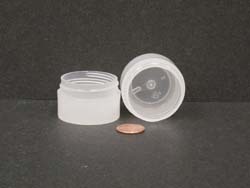 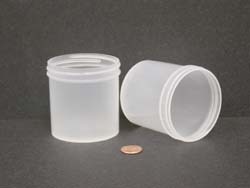 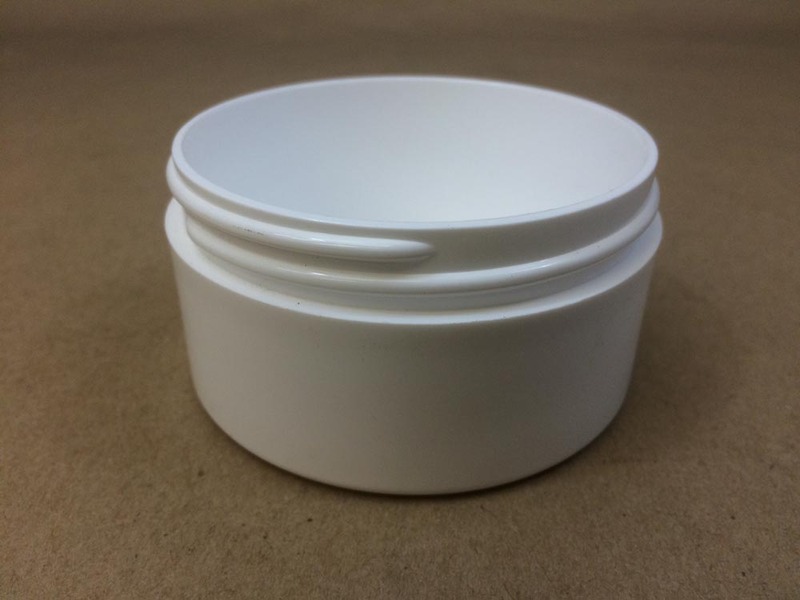 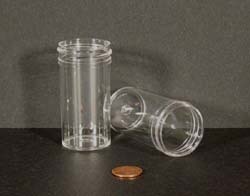 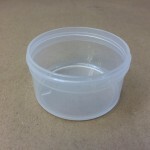 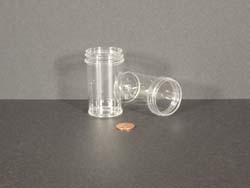 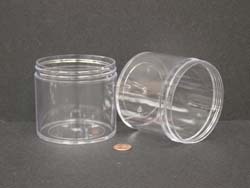 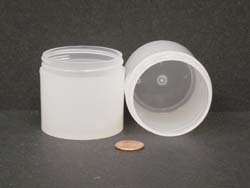 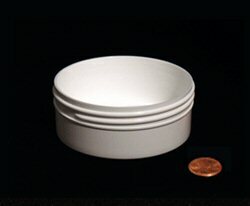 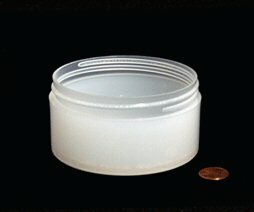 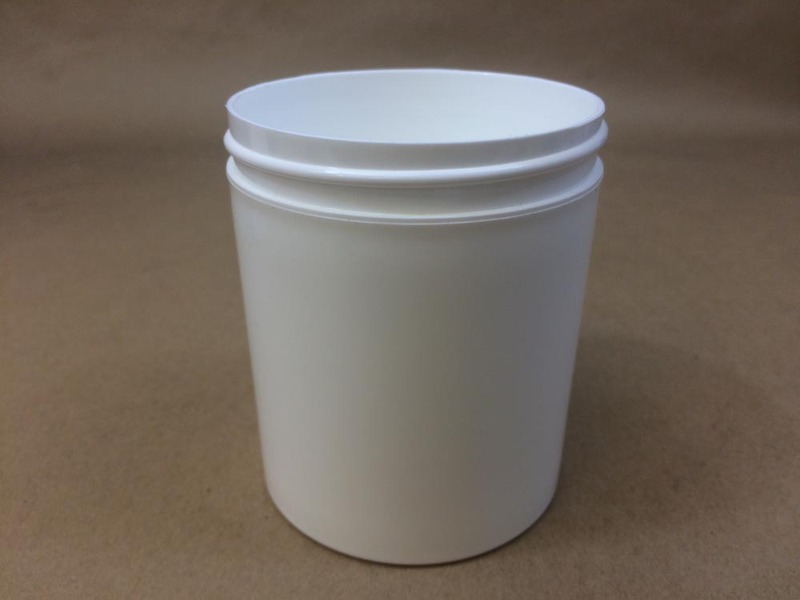 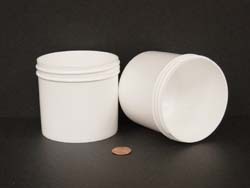 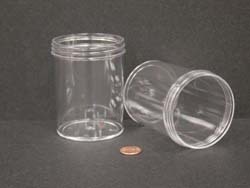 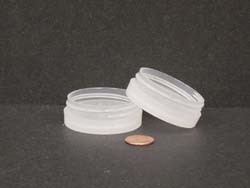 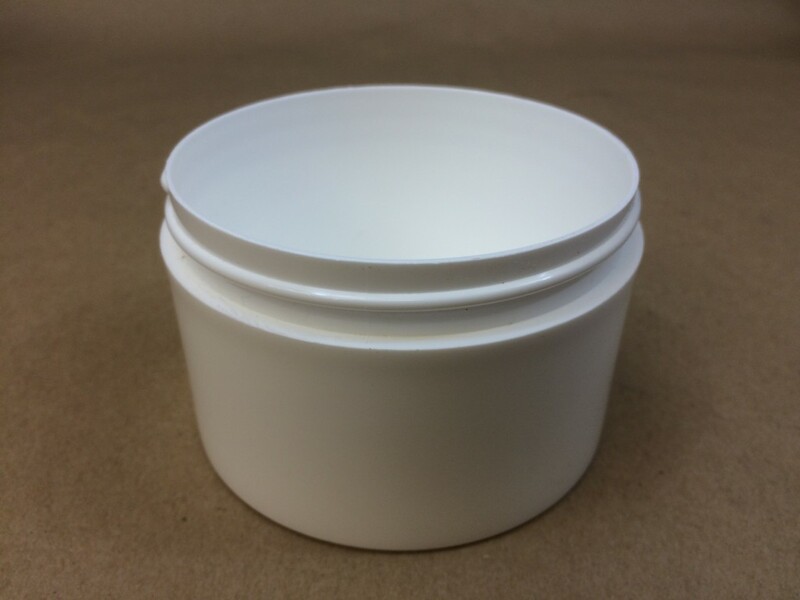 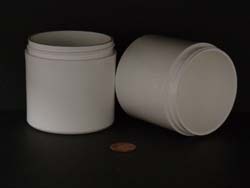 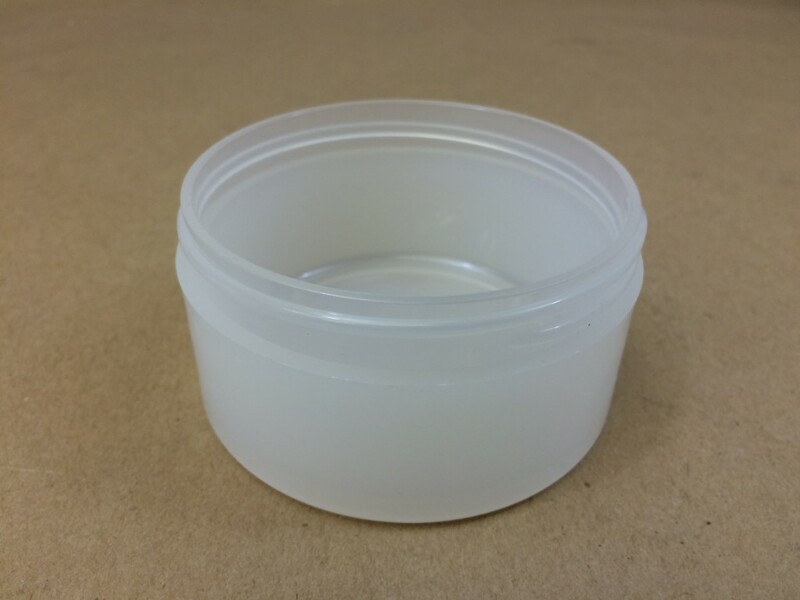 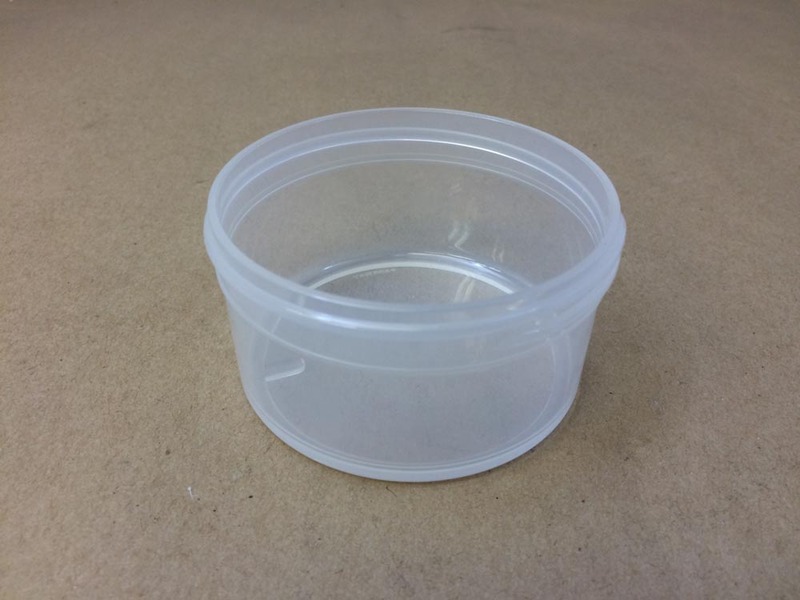 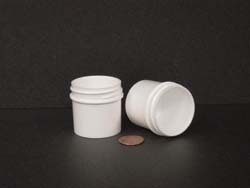 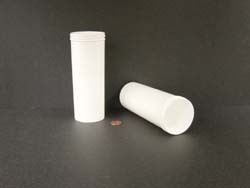 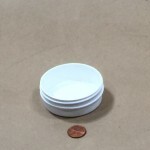 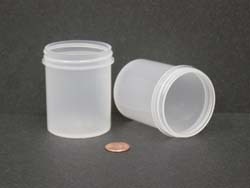 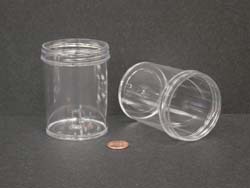 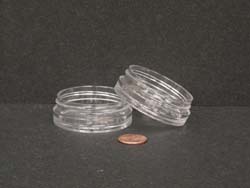 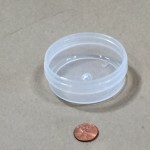 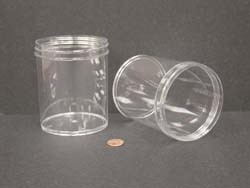 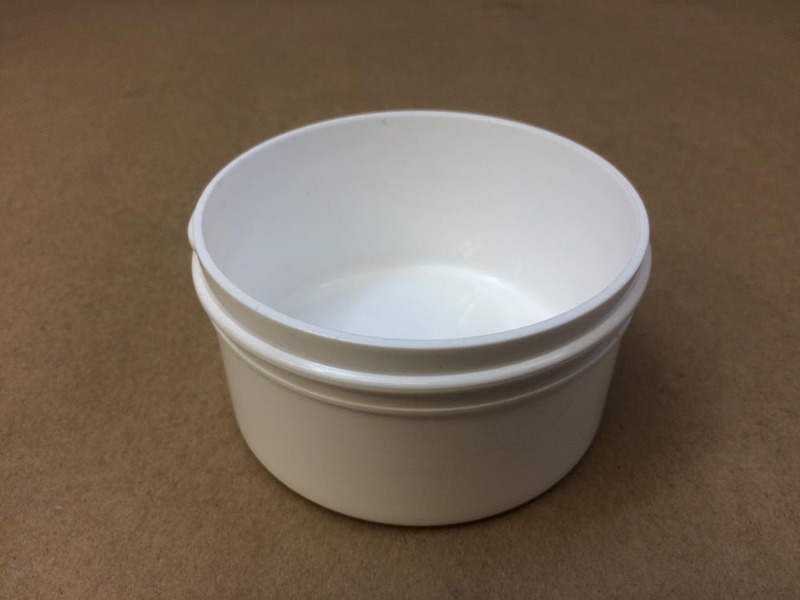 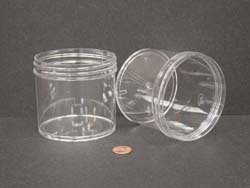 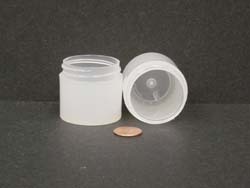 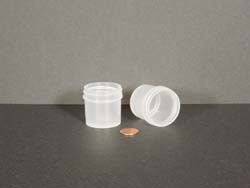 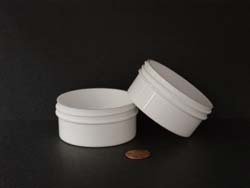 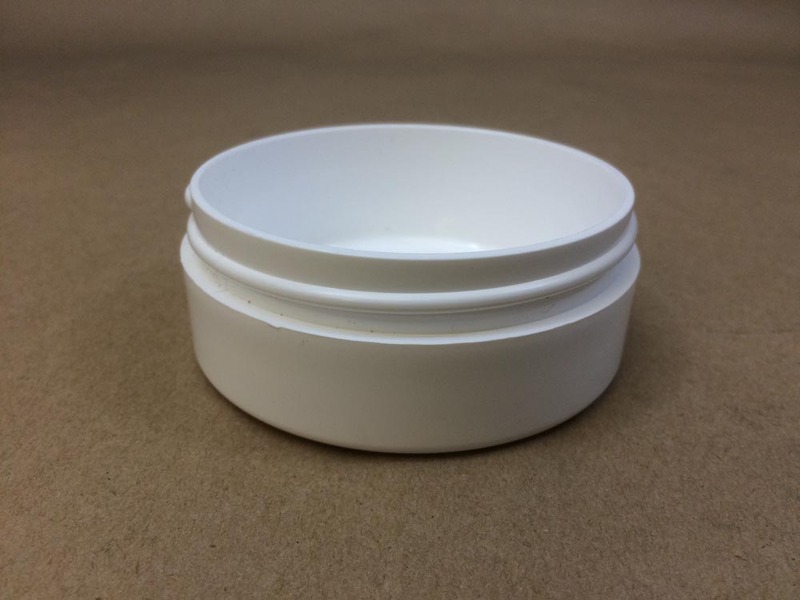 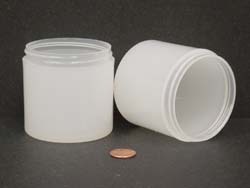 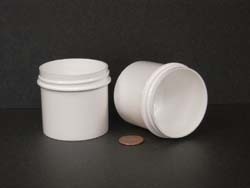 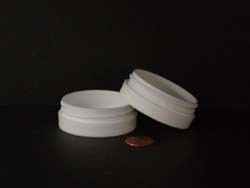 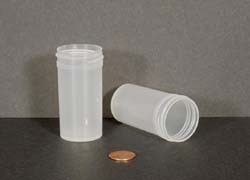 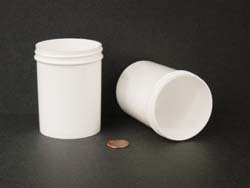 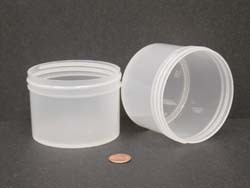 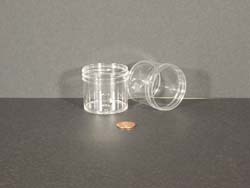 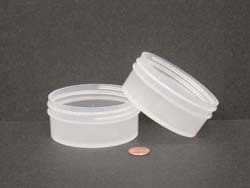 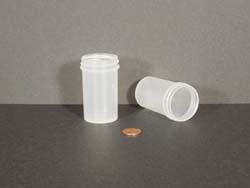 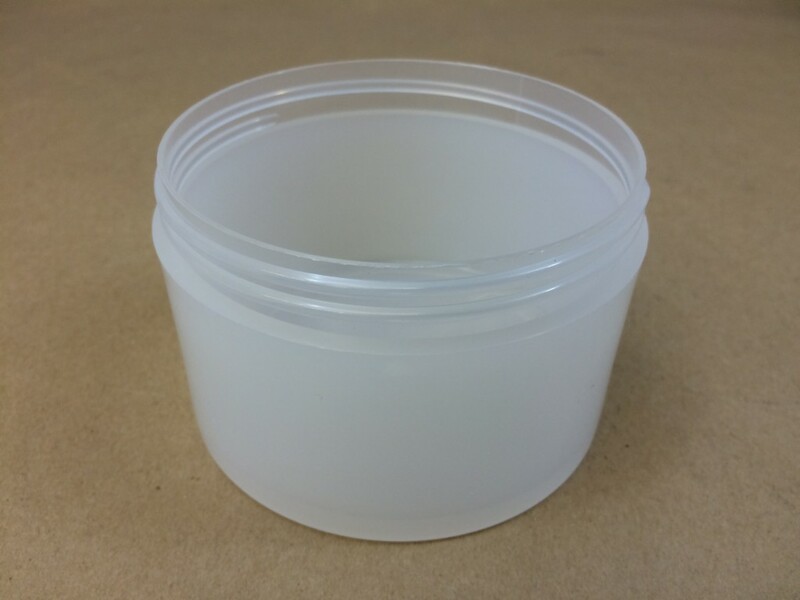 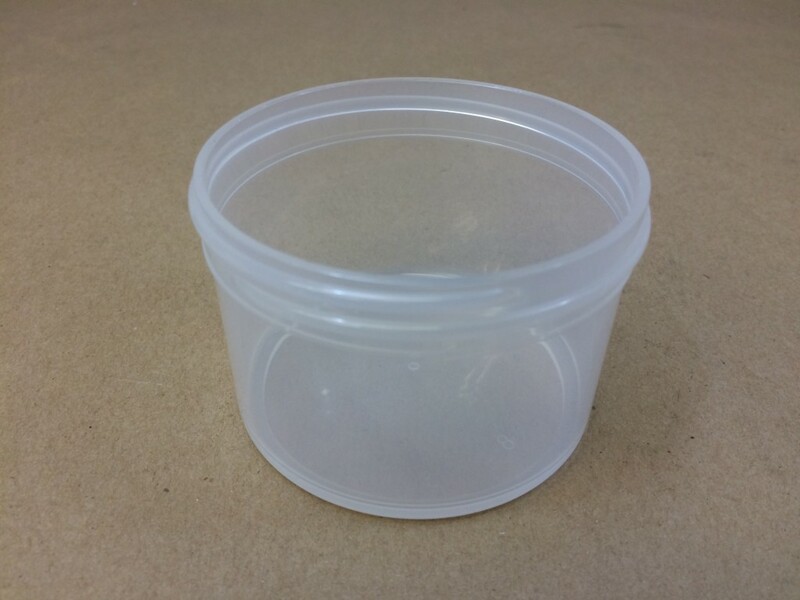 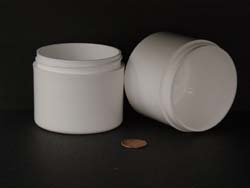 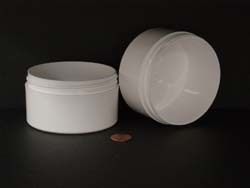 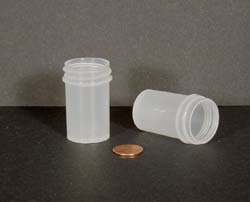 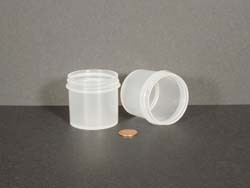 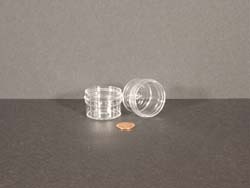 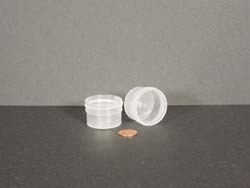 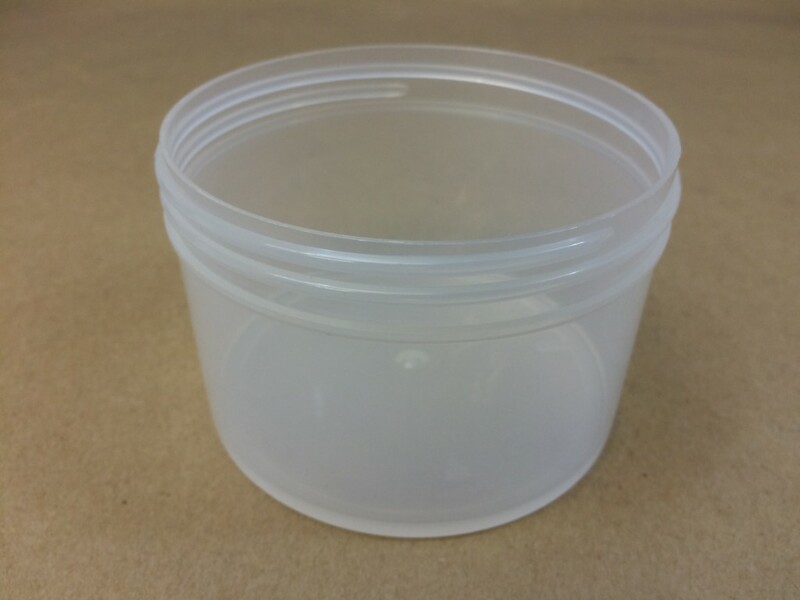 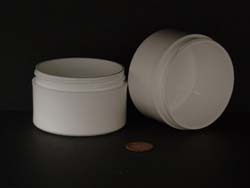 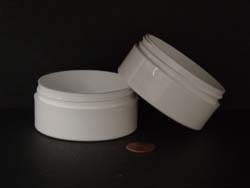 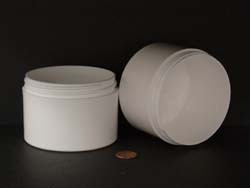 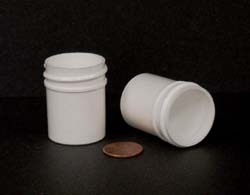 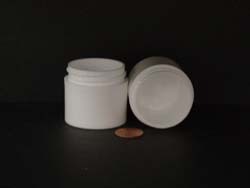 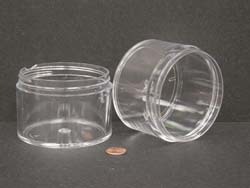 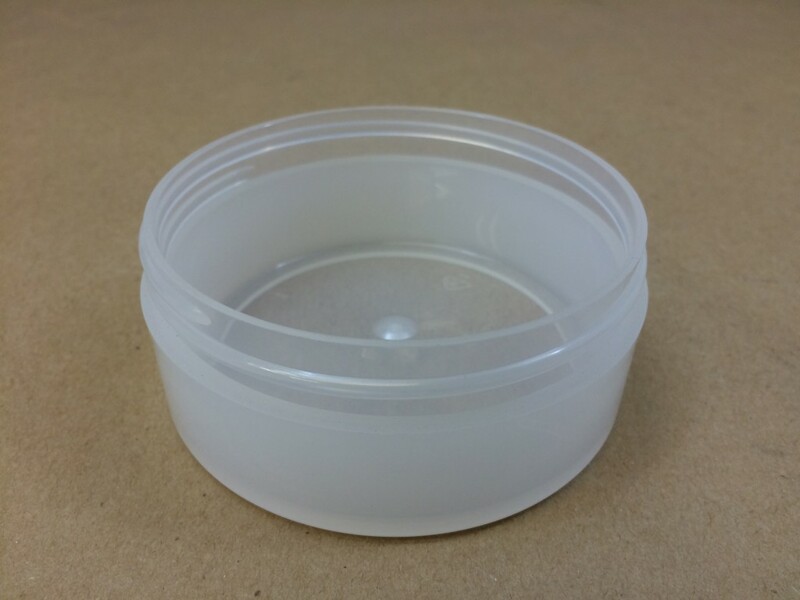 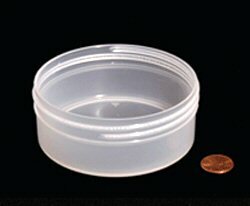 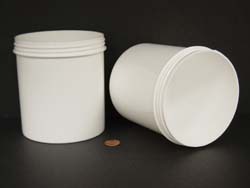 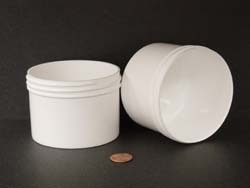 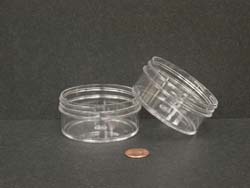 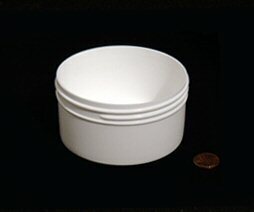 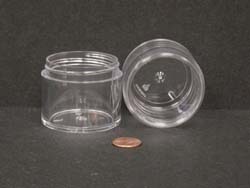 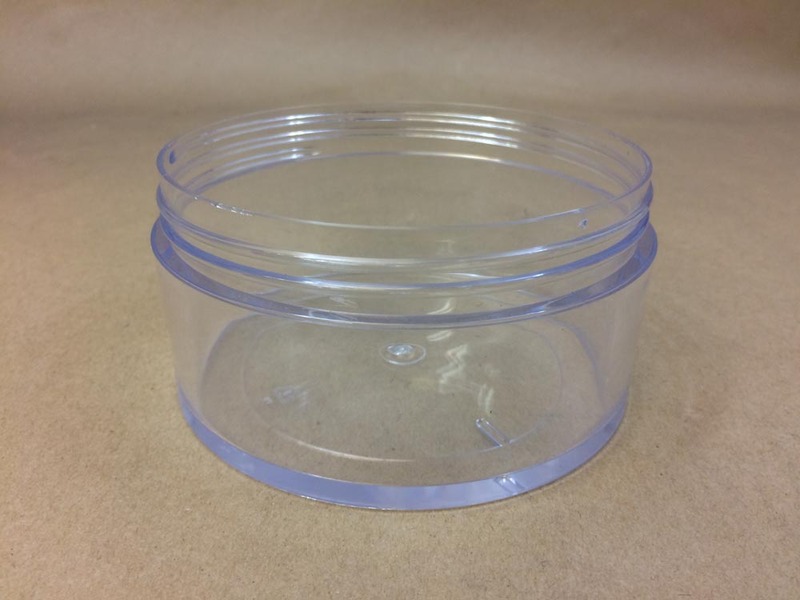 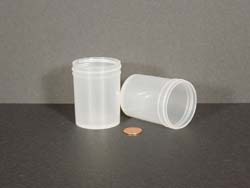 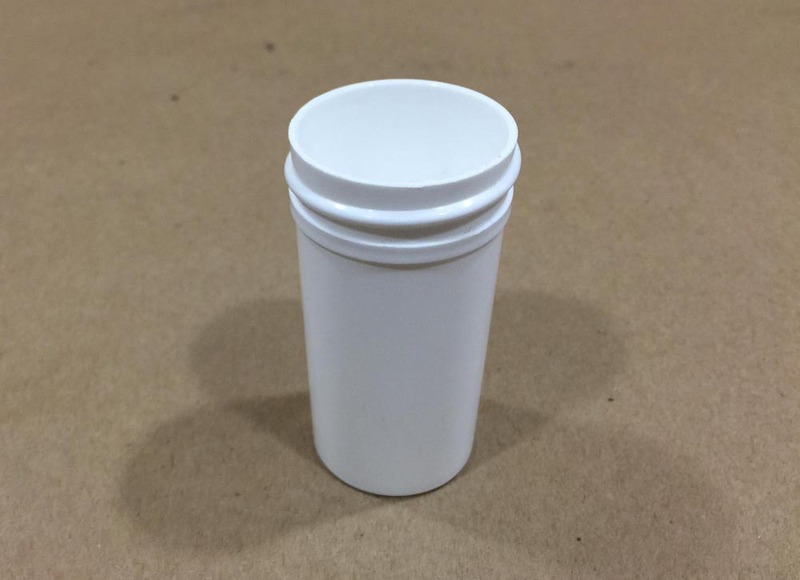 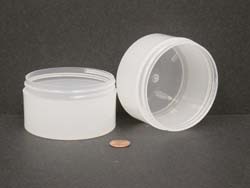 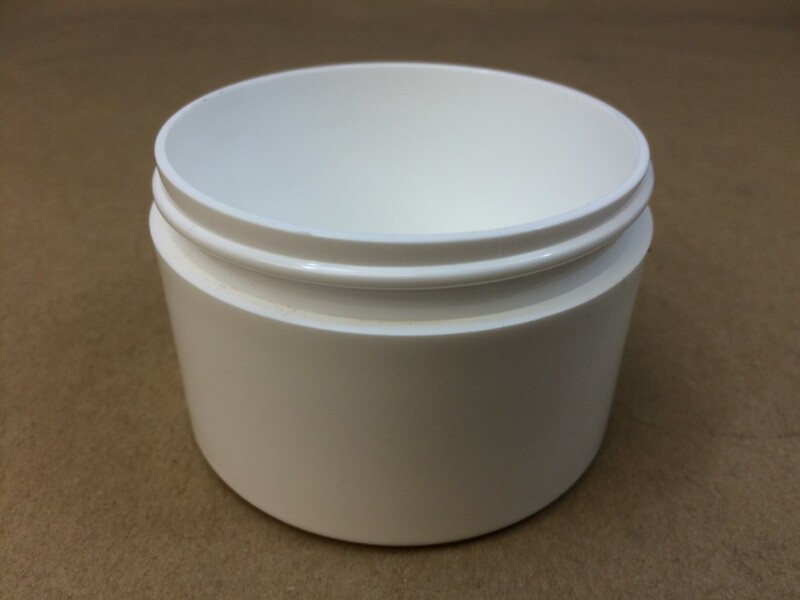 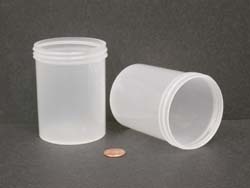 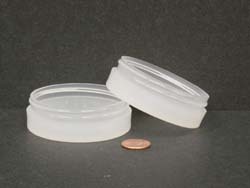 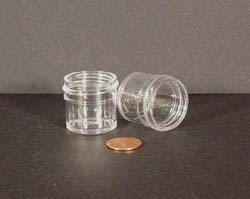 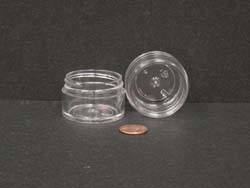 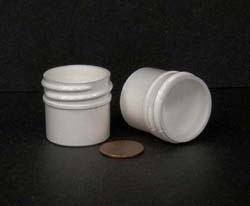 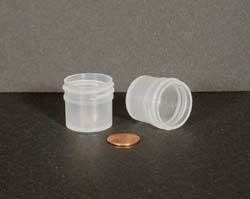 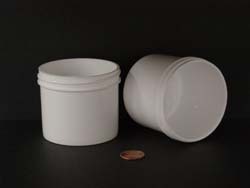 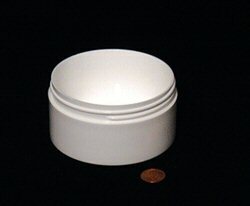 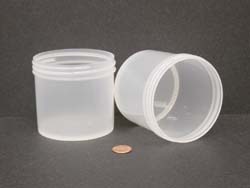 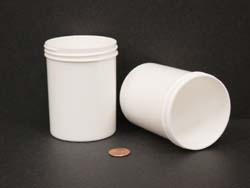 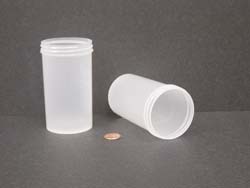 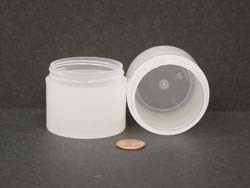 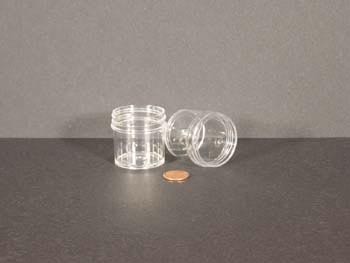 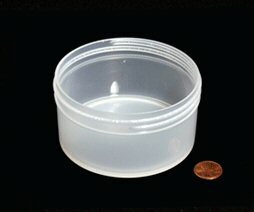 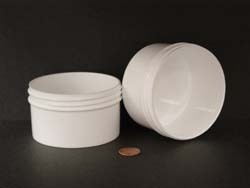 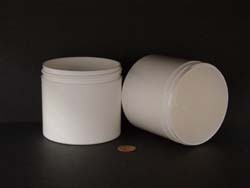 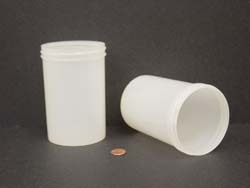 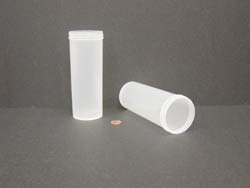 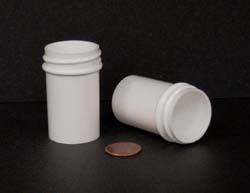 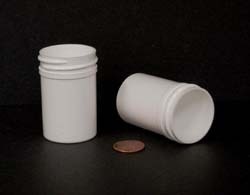 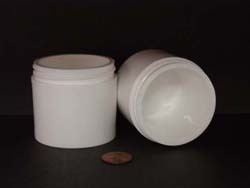 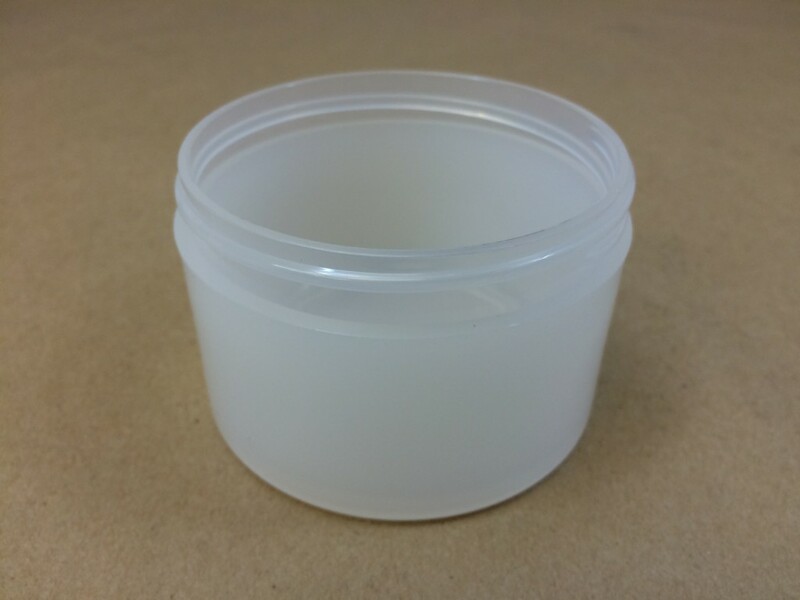 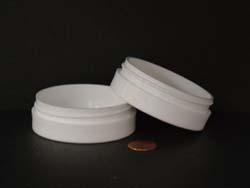 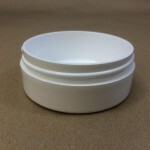 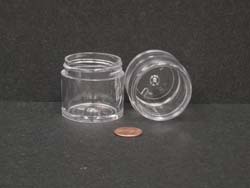 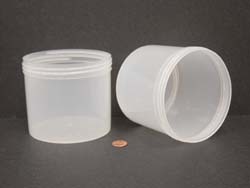 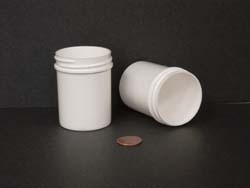 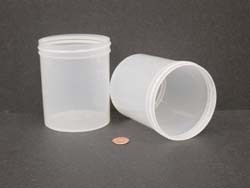 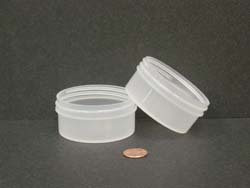 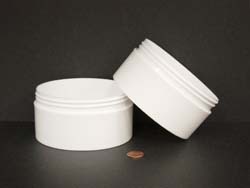 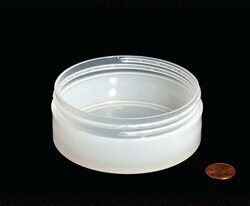 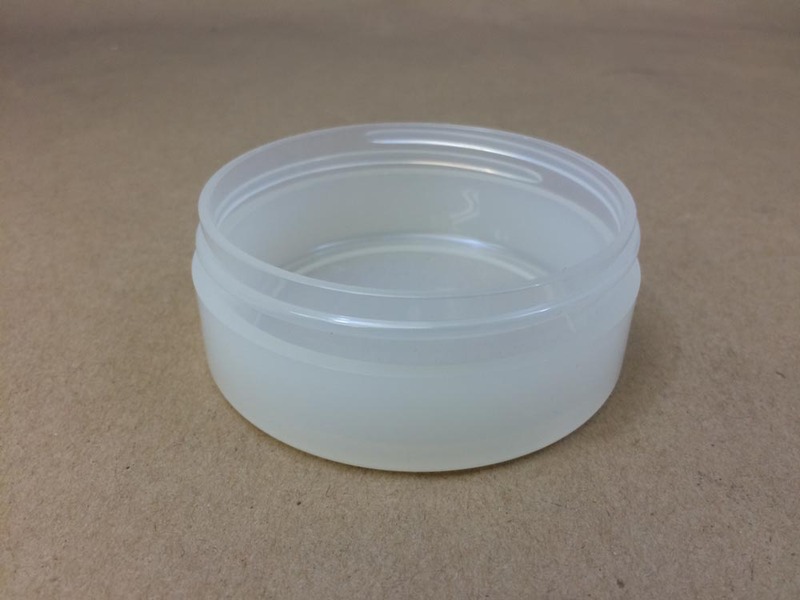 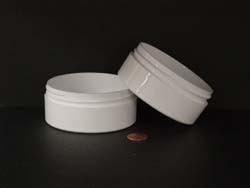 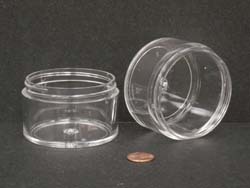 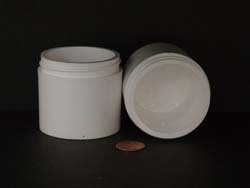 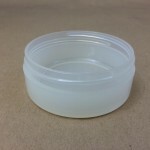 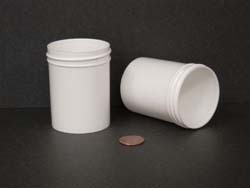 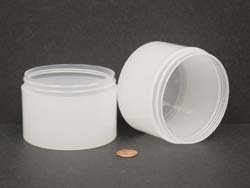 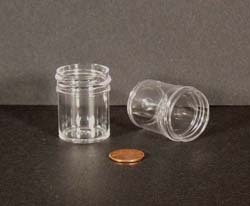 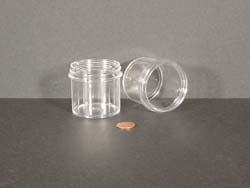 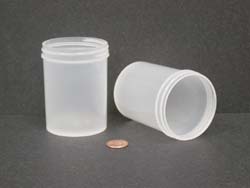 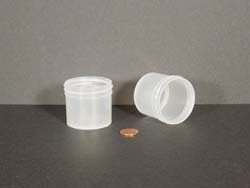 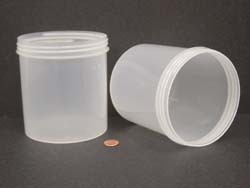 These solid thick wall plastic jars range from 1/4 ounce to 16 ounces. 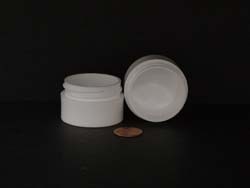 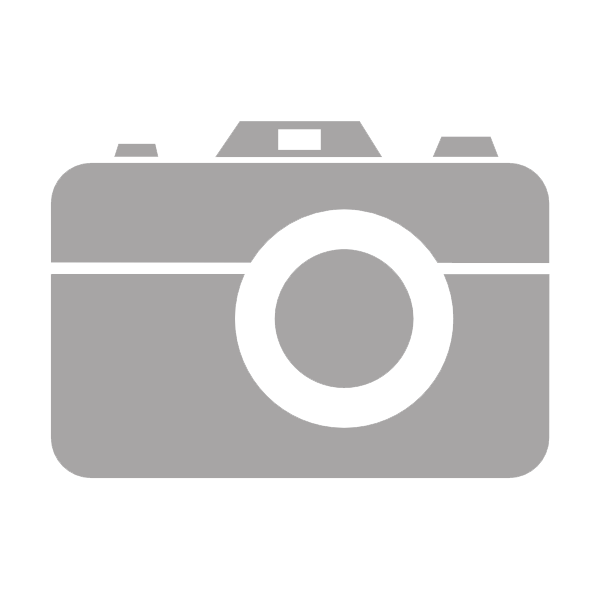 They are popular with the cosmetic and pharmaceutical industries. 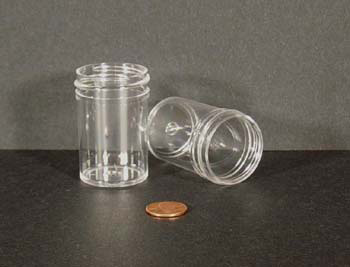 These jars have a solid feel, and should not be confused with lighter, more fragile double wall plastic jars.